Modern day scientists are collecting overwhelming volumes of data – genomic data, phenotypic data, microbiome, exomes, clinical data, population health data and more. The rich and complex data sets now available to health, academic and life science professionals offer tremendous opportunity for future healthcare and drug discovery. The sheer volume coupled with the Tech Revolution is driving change to bioinformatics infrastructure, data visualisation and data analysis. 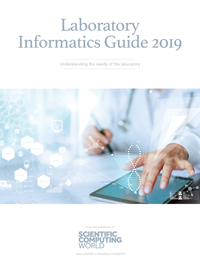 Bioinformatics USA explores bioinformatics infrastructure and best practice data management for life science and healthcare professionals, including a full day on AI and machine learning. You’ll leave with actionable ideas to improve your data management infrastructure, new relationships throughout life sciences, healthcare and technology companies and insights into the next generation of AI-driven computational biology.